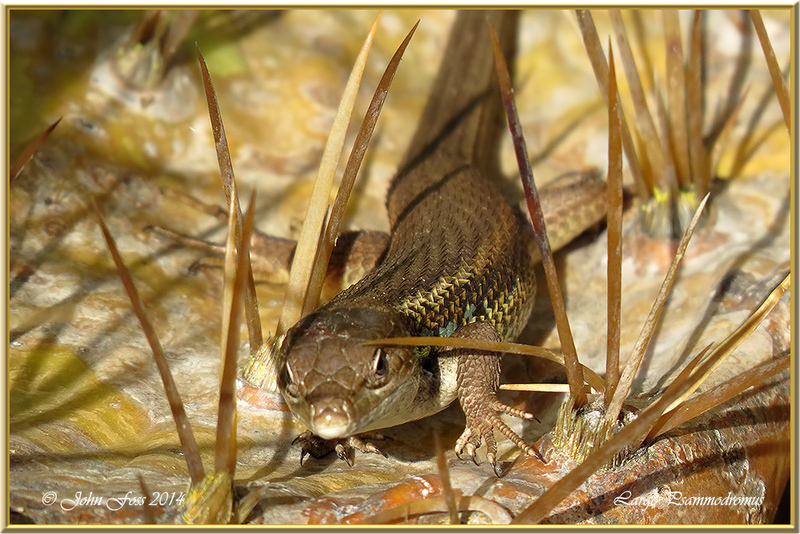 Large Psammodromus Lizard - This lizard prefers dry open Mediterranean areas where it will reach a length of 10-15 cm. Not really as big as its name suggests! They feed on small spiders and insects. 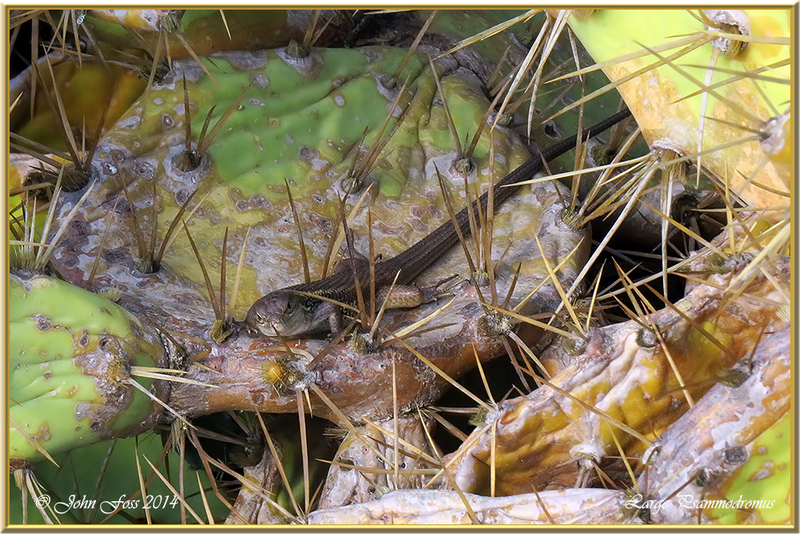 A timid lizard that will scurry into nearby thick vegetation if disturbed. They are found over most of the Iberian peninsula. They are an important food source to birds and snakes. I saw this one while out bird watching in Cabanas De Tavira in the Algarve Portugal.